“Sold by Kenny Burrell, this version is one of only two surviving copies of Wilson’s record known to exist — and it’s the only one in acceptable playing condition. Motown kingpin Berry Gordy originally ordered the record destroyed. “As the story goes, Wilson, who became a producer for Motown, was hired in late 1965 to head up the label’s West Coast operation in Los Angeles. The deal was contingent upon Wilson giving up his recording and performing career. But Wilson recorded a demo of “Do I Love You.” Upon finding out, Berry gave the order to have it wiped off the face of the earth. 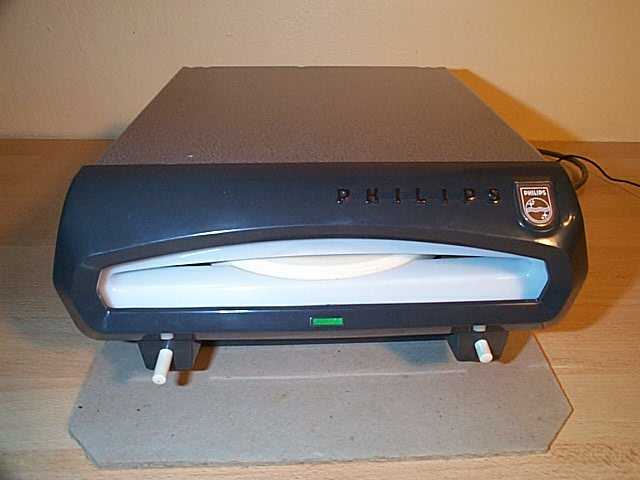 But, two copies escaped. 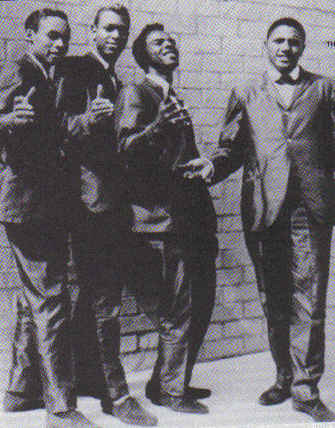 That’s sort of the back story: Wilson, who sang with the family group the Wil-Sones on Highland and the Remarkables on Audio Arts, joined Motown when it moved west. He recorded the Soul single, then Gordy told him to make a decision: either you’re a vocalist or a songwriter. He chose writer, Gordy stopped the release. Wilson is now a preacher and lives in Pasadena. 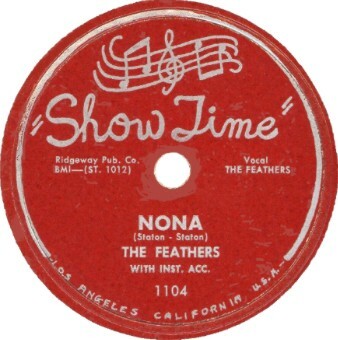 The Feathers came together in 1954, when lead tenor Johnny Staton and his brother and first tenor Louis Staton relocated from El Centro, a California border town, to South L.A., where they settled. After about four months with this membership, Izell and Lenore left and the group and added neighborhood friends, second tenor Don Harris, baritone John “Sonny” Harris and bass Mitchell Alexander. Censored Chuck Higgins Cover – why withdrawn? In 1958, teens in the L.A. area had an abundance of vinyl sources. Apart from the record shop on almost every street, Wallich’s Music City supplied the needs for the new and reissued vinyl and the newly opened Wenzel’s Music Town in Downey not only carried these sides, but was releasing records on their own Jack Bee label as of 1959. Thanks to DJs like Art LaBoe on KPOP and Huggy Boy on KWKW, who played these favored sides, much to the pleasure of those cruising various boulevards in the suburbs, the oldies scene began to heat up. 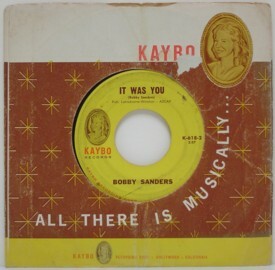 In the early 1960s, Wenzels began pressing custom metal acetates of songs not on otherwise on 45rpm and created a few select unlabeled 45s (Jimmy Reed b/w the Royal Tones), thus meeting needs of cruisers, oldies fans and record collectors of all stripes, which is why employees of nearby Wallich’s Music City in Lakewood considered Wenzel’s “a bootleg operation.” With these record buyers, stereo was not an attraction, thus rock and roll was not heard on FM radio, which lent itself to stereo broadcasts.